Insecticide specifically developed for treatment against flying or crawling insects and acarids (including scabies). A ready to use solution for internal use only. 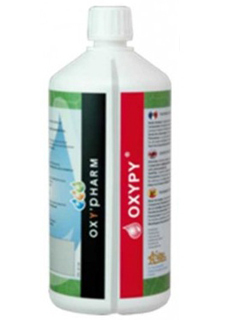 OXYPY contains natural pyrethrin which delivers immediate flash effect. This quick action enables the destruction of all insects. The natural pyrethrin is extracted from chrysanthemum flower heads and has potent insecticidal properties. Its flash effect kills every insect present at treatment time. Oxypy also contains Permethrin. This is a common synthetic chemical used as an insecticide and is from the pyrethroid family of chemicals functioning as a neurotoxin. This targets the insects nervous system. Permethrin has a long lasting remnant effect of 4 weeks efficiency. Insecticide specifically developed for treatment against bed bugs and their larvae. A ready to use solution for internal use only. 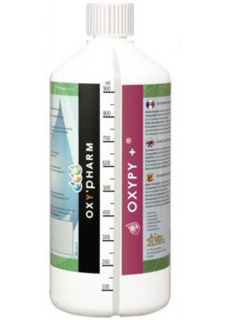 OXYPY+ contains natural Pyrethrin which delivers immediate flash effect. This quick action enables the destruction of living bed bugs. A catalytic effect is created by the presence of Piperonyl Butoxide – extracted from Sassafras wood – which reinforces the pyrethrin action. S-Methoprene is added to the formula to deliver the lavicidal effect. This eradicates larva that will hatch from pyrethrin insensitive eggs. It’s larvicidal action prevents larva from becoming adult. The larva is unable to reach stage IV of growth and create Chitin. It will therefore die within a week maximum without being able to become a blood sucking adult.